Product prices and availability are accurate as of 2019-04-20 09:36:22 EDT and are subject to change. Any price and availability information displayed on http://www.amazon.com/ at the time of purchase will apply to the purchase of this product. 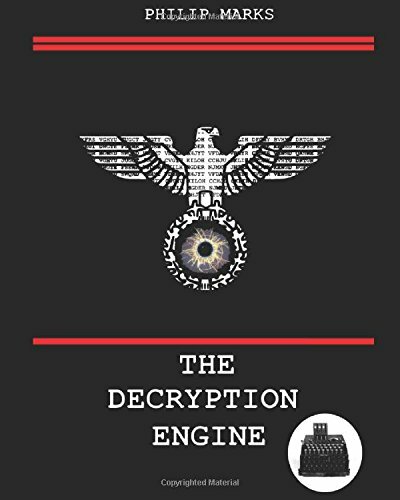 In February 1943 the war is faltering on the Eastern front and a German SS major will risk all when an unauthorised Enigma message offers blueprints of an atomic weapon in exchange for a Russian national treasure. 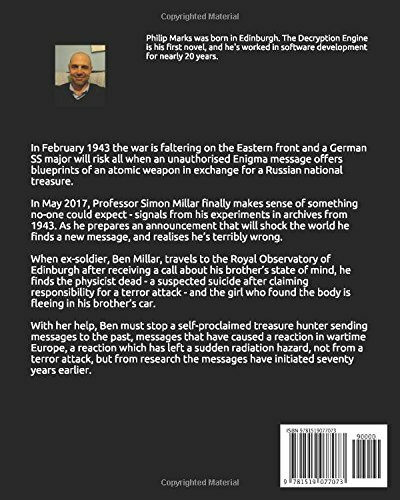 In May 2017, Professor Simon Millar finally makes sense of something no-one could expect - signals from his experiments in archives from 1943. As he prepares an announcement that will shock the world he finds a new message, and realises he’s terribly wrong. When ex-soldier, Ben Millar, travels to the Royal Observatory of Edinburgh after receiving a call about his brother’s state of mind, he finds the physicist dead - a suspected suicide after claiming responsibility for a terror attack - and the girl who found the body is fleeing in his brother’s car. With her help, Ben must stop a self-proclaimed treasure hunter sending messages to the past, messages that have caused a reaction in wartime Europe, a reaction which has left a sudden radiation hazard, not from a terror attack, but from research the messages have initiated seventy years earlier.